This is my first film review, if it is that. I was tempted to write about Ethan Hawke, hematologist among vampires in Daybreakers, but gore’s not my favorite genre. A mainstream choice would have been Harrison Ford solving the enzyme deficiency of Pompe disease in Extraordinary Measures, but I didn’t get sucked in. I chose Precious, instead. This luminous movie relates to the practice of medicine everyday, big-time. Directed by Lee Daniels and based on the novel Push by Sapphire (Ramona Lofton), the film follows a very obese Harlem teenager who’s pregnant with a second child by her abusive father. She’s humiliated daily by her welfare-dependant mother who forces her to cook greasy food and perform sexual acts all-the-while telling her she’s worthless. She’s 17 years old and can’t read. Things can get worse, and do. 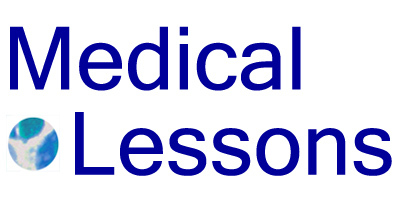 What’s relevant to medical lessons? The message of Precious, that every human life has value, should be obvious to every person employed in the health care system. But I know too well that’s not true. I learned a lot about pancreatitis and surgery that month. But I couldn’t understand how she, my patient, tolerated the team’s attitude. She didn’t seem to mind, perhaps because we saved her life and the care we provided was free. 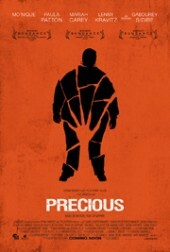 In retrospect, I wonder if maybe, like Precious, she was too-accustomed to disrespect. Of course, this is an extreme example from 25 years ago. And I know from my experience working for years in a hospital, and in my years as a patient, that most doctors treat most patients with appropriate dignity. But those residents I worked with then are senior practicing physicians now, likely some on the faculty of medical schools. The disposition to disparage patients, more often subtly – in keeping them waiting without good reason, in dismissing their long lists of real concerns, in somehow putting ourselves above them and even, still, occasionally expressing frank contempt for some unfortunate souls still permeates the hospital culture. When Precious is abused, her mind runs elsewhere. She imagines herself, huge body and all, cast glamorously among television stars or dancing with popular singers. She pretends that she’s all right even when she’s not, really. Finally she speaks up for herself, telling a social worker about her predicament. Ultimately that’s what makes the difference – her confidence in the value of her own bruised life. She recognizes that, despite everything, she’s a full-fledged human deserving better and has the guts to ask for help. By insisting, by knowing, that her life matters, she pushes herself out, if only partly, from the bleakest of circumstances. If you’re disabled, hurt, wounded, damaged – ask for help when you need it. Respect yourself, as Precious did. That sends a signal to doctors that you value your life, and they should treat you accordingly. Hopefully they’ll be paying attention. Right on! It is encouraging and important that you speak up for Precious and others whose voice is too often unheard or ignored. Your words, I hope, are echoed by others in the medical and health care professions. Sickness can make a person feel invisible, even if she has private insurance or is as big as Precious.